The economy of Panama is a fully dollarized  economy with a history of low inflation. It is based mainly on the services industry, heavily weighted toward banking, commerce, and tourism. Panama's economy is based primarily on a services sector that accounts for nearly 80% of its GDP. Services include the Panama Canal, banking, the Colón Free Trade Zone, insurance, container ports, and flagship registry, medical and health, and other business. The country's industry includes, manufacturing of aircraft spare parts, cements, drinks, adhesives, and textiles. Also some exports for Panama are bananas, shrimp, sugar, coffee, and clothing. Since the early 16th century, Panama's geographic location has given the country a comparative advantage. Soon after the Spanish arrived, the conquistadors would transport gold and silver from Peru to Spain via the Panama isthmus. Ports on each coast and a trail between them handled much of Spain's colonial trade from which the inhabitants of the port cities prospered. The country has always been dependent on world commerce for its prosperity and imports. Agriculture received little attention until the 20th century, and by the 1980s had for most of the population barely developed beyond indigenous Indian techniques. Industry developed slowly because the flow of goods from Europe and later from North America created a disincentive for local production. Panama has been affected by the cyclical nature of international trade. The economy stagnated in the 18th century as colonial exchange via the isthmus declined. In the mid-19th century, Panama's economy boomed as a result of increased cargo and passengers associated with the California gold rush. A railroad across the isthmus, completed in 1855, prolonged economic growth for about fifteen years until completion of the first transcontinental railroad in the United States led to a decline of trans-isthmian traffic. France's efforts to construct a canal across the isthmus in the 1880s and efforts by the United States in the early 20th century stimulated the Panamanian economy. In 1903 Panama separated from Colombia and the United States took control of the Panama Canal Zone; soon afterwards a constitutional ruling adopted the US dollar as legal tender for the country. The United States completed the canal in 1914, and canal traffic expanded by an average of 15% a year between 1915 and 1930. The stimulus was strongly felt in Panama City and Colón, the terminal cities of the canal. However, the world depression of the 1930s reduced international trade and canal traffic, causing extensive unemployment in the terminal cities and generating a flow of workers to subsistence farming. During World War II, canal traffic did not increase, but the economy boomed as the convoy system and the presence of United States forces, sent to defend the canal, increased foreign spending in the canal cities. The end of the war was followed by an economic depression and another movement of unemployed people into agriculture. The government initiated a modest public works program, instituted price supports for major crops, and increased protection for selected agricultural and industrial products. The postwar depression gave way to rapid economic expansion between 1950 and 1970, when GDP increased by an average of 6.4% a year, one of the highest sustained growth rates in the world. All sectors contributed to the growth. Agricultural output rose, boosted by greater fishing activities (especially shrimp), the development of high-value fruit and vegetable production, and the rapid growth of banana exports after disease-resistant trees were planted. Commerce evolved into a relatively sophisticated wholesale and retail system. Banking, tourism, and the export of services to the Canal Zone grew rapidly. Most importantly, an increase in world trade provided a major stimulus to use of the canal and to the economy. In the 1970s and 1980s, Panama's growth fluctuated with the vagaries of the world economy. After 1973, economic expansion slowed considerably as the result of a number of international and domestic factors. Real GDP growth averaged 3.5% a year between 1973 and 1979. In the early 1980s, the economy rebounded with GDP growth rates of 15.4% in 1980, 4.2% in 1981, and 5.6% in 1982. The acute recession in Latin America after 1982, however, wreaked havoc on Panama's economy. GDP growth in 1983 was a mere 0.4%; in 1984 it was -0.4%. This period coincided with the rise to power of General Manuel Noriega during which Panama became increasingly indebted, by 1986 owing SDR284m (US$360m) to the IMF alone, 278% of their quota. This led to the IMF imposing an adjustment program supported by an IMF stand-by arrangement in 1985–87 whilst the economy recovered somewhat. In 1985 Panama experienced economic recovery with 4.1% GDP growth. The corresponding figure for 1986 was estimated to be 2.8%. The United States started to pursue Noriega for fostering a narco-state in Panama, culminating in sanctions that froze Panama's assets in the United States; since Panama used the US dollar it was forced to default on its IMF debt on 28 December 1987. Economic turmoil in the country included a general strike and the banking system closing down for two months. Panama made a token payment the day before the IMF meeting in November 1988, but the situation did not resolve until 1989. Presidential elections in May 1989 were condemned by the international community as fraudulent and the IMF began to become impatient with Panama's increasing arrears which had now reached SDR121m (US$150m). The United States and Germany forced through a resolution on 30 June 1989 declaring Panama ineligible for further support from the IMF. The situation was eventually resolved by the US invasion of Panama in December 1989 which forced the surrender of Noriega. SDR181.5m (~$US230m) was still owed to the IMF in April 1990; the country regained access to IMF funds on 2 May 1992. A proportional representation of Panama's exports. After taking office in 1994 President Ernesto Perez Balladares set forth an economic liberalization program designed to liberalize the trade regime, attract foreign investment, privatize state-owned enterprises, institute fiscal discipline and privatize its two ports in 1997 and approve the sale of the railroad in early assets. Panama joined the World Trade Organization (WTO) and a banking reform law was approved by the legislature in early 1998 and dismantled the Central bank. After two years of near stagnation the reforms began to take root; GDP grew by 3.6% in 1997 and grew by more than 6% in 1998. The most important sectors which drove growth were the Panama Canal and the shipping and port activities of the Colón Free Trade Zone which also rebounded from a slow year in 1996. On September 1, 1999, Mireya Moscoso, the widow of former President Arnulfo Arias Madrid, took office. During her administration, Moscoso attempted to strengthen social programs, especially for child and youth development, protection, and general welfare. Moscoso's administration successfully handled the Panama Canal transfer and was effective in the administration of the Canal. The PRD's Martin Torrijos won the presidency and a legislative majority in the National Assembly in 2004. Under Torrijos, Panama continued strong economic growth and initiated the Panama Canal expansion project that began in 2007 and was opened to commercial traffic on 26 June 2016, at a cost of US$5.25 billion - about 25% of current GDP. The canal expansion doubled the waterway capacity, enabling it to accommodate Post-Panamax ships that were too large to transverse the transoceanic crossway, and expected to help to reduce the high unemployment rate. Strong economic performance had reduced the national poverty level to 29% in 2008. In 2008, Panama had the second most unequal income distribution in Latin America. The Torrijos government implemented tax reforms, as well as social security reforms, and backed regional trade agreements and development of tourism. Not a CAFTA signatory, Panama in December 2006 independently negotiated a free trade agreement with the US, which, when implemented, should help promote the country's economic growth. In May 2009, Ricardo Martinelli elected president, and on July 1 promised to promote free trade, establish a Panama City metro system at an approximate cost of $1.0 billion, reform the health care system, and complete the expansion plan for the Panama Canal. Martinelli also emphasized the importance of transforming Panama into a “safer, modern and supportive” nation devoted to improving the living conditions of its population through efficient and accountable governance. Panama has a substantial financial services sector and no central bank to act as a lender of last resort to rescue banks that get in trouble. As a result, Panamanian banks are very conservatively run, with an average capital adequacy ratio of 15.6% in 2012, nearly double the legal minimum. The sector grew up providing trade finance for trade passing through the Canal, and later evolved into money laundering for the drug trade under Noriega. Since the global financial crisis of 2007–08 the country has been trying to shake off its reputation as a tax haven, signing double taxation treaties with many (mostly OECD) countries and in April 2011 a treaty on the exchange of financial information with the United States. An economic activity map of Panama, 1981. Panama is a net food importer and the United States is its main supplier. Agriculture employs a large number of Panamanians (in relation to agriculture's percentage of Panamanian GDP) with many farmers being engaged in subsistence farming. Taxation in Panama, which is governed by the Fiscal Code, is on a territorial basis; this is to say, that taxes apply only to income or gains derived through business carried on in Panama itself. The existence of a sales or administration office in Panama, or the re-invoicing of external transactions at a profit, does not of itself give rise to taxation if the underlying transactions take place outside Panama. Dividends paid out of such earnings are free of taxation. 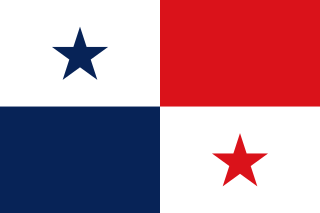 In February 2005, Panama’s unicameral legislature approved a major fiscal reform package in order to raise revenues from new business taxes, and increases the country’s level of debt. The legislature voted 46 to 28 in favour of the measures, which include a new 1.4% tax on companies’ gross revenues, and a 1% levy on firms operating in the Colon Free Trade Zone – the largest free port in the Americas. President Ricardo Martinelli had promised to implement a flat tax system with a flat tax of 10% and which promised to raise revenues, put inflation under control and which will allow enormous real wage gains. Instead the Martinelli government increased sales tax to 7% from 5%, as well as increasing other taxes, in order to finance many infrastructure projects around the country. Panama City as seen from the Corredor Sur highway. In Panama City there are six highways: the Panama-Arraijan Bridge of the Americas, Panama-Arraijan Centennial Bridge, Arraijan-Chorrera, Corredor Norte, Corredor Sur, and Autopista Alberto Motta. Panama's roads, traffic and transportation systems are generally safe, with older traffic lights having undergone a recent overhaul and most have been replaced by traffic lights that are capable of being controlled [and changed] remotely, even at busy intersections where they are not needed. Driving during the midday is usually slow and demanding due to dense traffic, frequent traffic jams, and street renovation programs. On roads where poor lighting and driving conditions prevail, night driving is difficult and in many cases, restricted by local authorities, this usually occurs in informal settlements. Night driving is particularly hazardous in these areas. Traffic in Panama moves on the right, and Panamanian law requires that drivers and passengers wear seat belts. Currently, Panama used to have an extensive and efficient, yet confusing to tourists, form of public transportation consisting of colorful painted buses colloquially known as diablo rojo. A diablo rojo is usually "customized" or painted with bright colors, usually depicting famous actors, politicians or singers. It is now popular all over the city (and also in neighboring towns) for bus drivers to personally customize the interior and exterior of their diablo rojo. Panama City's streets experience frequent traffic jams due to poor planning. "Diablos Rojos" are not in Panama transportation since 2010. Metrobus and the Metro are the current transportation. (PPP) 7.32 Bln. 11.18 Bln. 12.61 Bln. 18.59 Bln. 26.47 Bln. 36.71 Bln. 41.07 Bln. 47.27 Bln. 52.36 Bln. 53.61 Bln. 57.38 Bln. 65.48 Bln. 72.85 Bln. 78.93 Bln. 85.20 Bln. 91.10 Bln. 98.87 Bln. 103.89 Bln. Nominal GDP per capita in Panama was (in balboas or US dollars) 11,691 in 2002, 13,099 in 2004, 14,004 in 2005 (Prelim), 15,141.9 in 2006 (est), as reported by Office of Statistics and Census, Government of Panama. Growth from 2002 to 2006 was especially strong in the transport and communications sector, which became the biggest component of GDP, although many sectors also saw strong growth. Real GDP rose 7.5% (03-04), 6.9% (04-05), 8.1% (05-06). GDP growth in 2008 was 9.2%, reflecting a slowing of the robust growth of 11.5% seen in 2007. Although growth slowed to 2.4% in the first half of 2009, due to the global economic downturn, it is expected to improve in 2010 and is still one of the most positive growth rates in the region. Growth has been fueled by the construction sector, transportation, port and Panama Canal-related activities, and tourism. As a result of this growth, government deficit as a percentage of GDP dropped to 43% in 2009, and government-issued debt achieved investment grade in February 2010. A recent United Nations report highlighted progress in poverty reduction from 2001 to 2007—overall poverty fell from 37% to 29%, and extreme poverty fell from 19% to 12%. However, Panama still has the second-most unequal income distribution in Latin America. ^ "World Bank forecasts for Panama, June 2018 (p. 152)" (PDF). World Bank. Retrieved 6 September 2018. ^ "Ease of Doing Business in Panama". Doingbusiness.org. Retrieved 24 November 2017. ^ "Export Partners of Panama". CIA World Factbook. 2013. Retrieved 2015-07-18. ^ "Import Partners of Panama". CIA World Factbook. 2013. Retrieved 2015-07-18. ^ a b c Rogers, Simon; Sedghi, Ami (15 April 2011). "How Fitch, Moody's and S&P rate each country's credit rating". The Guardian. Retrieved 28 May 2011. ^ Berg, Andrew; Borensztein, Eduardo (2008-12-01). "Full Dollarization The Pros and Cons". International Monetary Fund. Retrieved 2009-06-16. ^ a b c d e f This article incorporates public domain material from the Library of Congress document: Scott D. Tollefson (December 1987). Sandra W. Meditz & Dennis M. Hanratty (ed.). "Panama: A country study". Federal Research Division. Growth and Structure of the Economy. ^ Savastano, Miguel (1996). "Dollarization in Latin America: Recent Evidence and Some Policy Issues". IMF Working Paper. WP/96/4. SSRN 882905. ^ "Building the Panama Canal, 1903–2030". [email protected]. Office of the Historian, Bureau of Public Affairs. ^ a b c d e f g h Boughton, James M. (1 October 2001). Silent Revolution - The International Monetary Fund 1979–1989 (PDF). IMF. pp. 799–803. ^ a b The Associated Press (2016-06-26). "Panama Canal Opens $5B Locks, Bullish Despite Shipping Woes". The New York Times. Retrieved 2016-06-26. ^ a b "Macroeconomic Report - Panama" (pdf). United Nations Economic Commission for Latin America and the Caribbean. June 2012. ^ a b This article incorporates public domain material from the United States Department of State document "Background note: Panama". ^ This article incorporates public domain material from the United States Department of Agriculture document "Panama: Biotechnology: Biotechnology Report" by Hugo Salazar. Retrieved on August 7, 2007. ^ "Panama Taxes Explained", Panama Taxes Feb, 2012. ^ a b "Panama: Country-specific information" Archived 2013-12-04 at the Wayback Machine. U.S. Department of State (March 18, 2009). This article incorporates text from this source, which is in the public domain. ^ "Report for Selected Countries and Subjects". Retrieved 2018-08-30. The economy of Costa Rica has been very stable for some years now, with continuing growth in the GDP and moderate inflation, though with a high unemployment rate: 8.2% in 2016. The economy emerged from recession in 1997 and has shown strong aggregate growth since then. The estimated GDP for 2017 is US$61.5 billion, up significantly from the US$52.6 billion in 2015 while the estimated 2017 per capita is US$12,382. The economy of Ecuador is the eighth largest in Latin America and the 69th largest in the world by total GDP. Ecuador’s Economy is based on the export of oil, bananas, shrimp, gold, other primary agricultural products and money transfers from Ecuadorian emigrants employed abroad. In 2017, remittances constituted 2.7% of country's GDP. The total trade amounted to 42% of the Ecuador’s GDP in 2017. The country is substantially dependent on its petroleum resources. In 2017, oil accounted for about one-third of public-sector revenue and 32% of export earnings. Ecuador is one of OPEC's smallest members and produced about 531,300 barrels per day of petroleum in 2017. It is the world's largest exporter of bananas and a major exporter of shrimp. Exports of non-traditional products such as cut flowers and canned fish have grown in recent years. In the past, Ecuador’s economy depended largely on primary industries like agriculture, petroleum, and aquaculture. As a result of shifts in global market trends and development of technology have led to the economic development of other sectors like textile, processed food, metallurgy and the service sectors. Between 2006 and 2014, GDP growth averaged 4.3%, driven by high oil prices and external financing. From 2015 until 2018 GDP growth averaged just 0.6%. Ecuador's president, Lenín Moreno, has launched a radical transformation of Ecuador’s economy since taking office in May 2017. The aim is to increase the private sector’s weight, in particular the oil industry. The International Monetary Fund approved an agreement with Ecuador in March 2019. This arrangement would provide support for the Ecuadorian government’s economic policies over three years. Panama, officially the Republic of Panama, is a country in Central America, bordered by Costa Rica to the west, Colombia to the southeast, the Caribbean Sea to the north, and the Pacific Ocean to the south. The capital and largest city is Panama City, whose metropolitan area is home to nearly half the country's 4 million people. Paraguay has a market economy highly dependent on agriculture products. In recent years, the economy has grown as a result of increased agricultural exports, especially soybeans. Paraguay has the economic advantages of a young population and vast hydroelectric power but has few mineral resources, and political instability has undercut some of the economic advantages present. The government welcomes foreign investment. Predominantly rural, and with limited natural resources, the economy of Senegal gains most of its foreign exchange from fish, phosphates, groundnuts, tourism, and services. The agricultural sector of Senegal is highly vulnerable to variations in rainfall and changes in world commodity prices. The former capital of French West Africa, is also home to banks and other institutions which serve all of Francophone West Africa, and is a hub for shipping and transport in the region. The economy of Albania went through a process of transition from a centralized economy to a market-based economy on the principles of the free market. Albania is an Upper-middle-income country and a member of the North Atlantic Treaty Organisation (NATO), World Trade Organization (WTO), Organization for Security and Co-operation in Europe (OSCE) and Organization of the Black Sea Economic Cooperation (BSEC). The modern, private enterprise economy of Belgium has capitalised on its central geographic location, highly developed transport network, and diversified industrial and commercial base. The first country to undergo an industrial revolution on the continent of Europe in the early 19th century, Belgium developed an excellent transportation infrastructure of ports, canals, railways, and highways to integrate its industry with that of its neighbors. Industry is concentrated mainly in the populous Flanders in the north, around Brussels and in the two biggest Walloon cities, Liège and Charleroi, along the sillon industriel. Belgium imports raw materials and semi-finished goods that are further processed and re-exported. Except for its coal, which is no longer economical to exploit, Belgium has few natural resources other than fertile soils. Nonetheless, most traditional industrial sectors are represented in the economy, including steel, textiles, refining, chemicals, food processing, pharmaceuticals, automobiles, electronics, and machinery fabrication. Despite the heavy industrial component, services account for 74.9% of GDP, while agriculture accounts for only 1% of GDP. Omar Efraín Torrijos Herrera, more commonly known as Omar Torrijos, was the Commander of the Panamanian National Guard and the de facto dictator of Panama from 1968 to 1981. Torrijos was never officially the president of Panama, but instead held titles including "Maximum Leader of the Panamanian Revolution" and "Supreme Chief of Government." Torrijos took power in a coup d'état and instituted a number of social reforms and his regime was considered socialist. The world economy or global economy is the economy of the humans of the world, considered as the international exchange of goods and services that is expressed in monetary units of account. In some contexts, the two terms are distinct "international" or "global economy" being measured separately and distinguished from national economies while the "world economy" is simply an aggregate of the separate countries' measurements. Beyond the minimum standard concerning value in production, use and exchange the definitions, representations, models and valuations of the world economy vary widely. It is inseparable from the geography and ecology of Earth. Ricardo Alberto Martinelli Berrocal, is a Panamanian politician and businessman who was the 36th President of Panama from 2009 to 2014. In May 2017, Interpol issued a red notice for the extradition of Ricardo Martinelli, installed in Miami. Panamanian justice accuses the former president of having spied on telephone conversations of about 150 people, including journalists and leaders of the opposition. He is also suspected of embezzlement on a $45 million contract to purchase food for schools. Martinelli was arrested in Miami by U.S. Marshals on June 12, 2017 to face extradition to Panama. He was extradited to Panama on June 11, 2018 to face the wiretapping charges. The economic history of Republic of Turkey may be studied according to sub-periods signified with major changes in economic policy: i) 1923-1929, when development policy emphasised private accumulation; ii) 1929-1945 when development policy emphasised state accumulation in a period of global crises; iii) 1950-1980, a period of state guided industrialisation based on import substituting protectionism; iv) 1980 onwards, opening of the Turkish economy to liberal trade in goods, services and financial market transactions. However one distinct characteristic between 1923–1985, in large part as a result of government policies, a backward economy developed into a complex economic system producing a wide range of agricultural, industrial, and service products for both domestic and export markets the economy grew at an average annual rate of six percent. The economy of Central America is the eleventh-largest economy in Latin America, behind Brazil, Mexico, Argentina, Chile and Colombia, According to the World Bank, the nominal GDP of Central America reached 204 billion US dollar in 2010, as recovery from the crisis of 2009, where gross domestic product (GDP) suffered a decline to 3.8%. The major economic income are the agriculture and tourism, although the industrial sector is in strong growth, mainly in Panama.